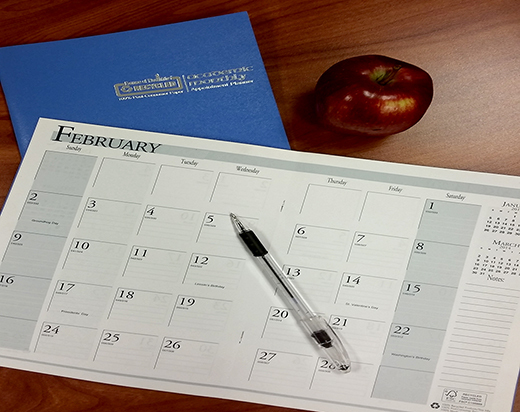 Whether you’re seeking stock, promotional or collegiate products, plan on purchasing a beautifully designed, eco-friendly House of Doolittle® desk pad, appointment planner, or wall calendar. Are you looking for a calendar or planner for personal or office use? Are you interested in imprinted products to advertise your organization? Are you considering the purchase of stock or imprinted products for your college bookstore? House of Doolittle® offers a full line of attractive “green” calendars and planners that help you plan for today while keeping tomorrow in mind. All of our products are made in the U.S. with recycled materials and printed with soy inks.